Owning a vacation rental in Florida seems like the ideal. You get a full-sized, spacious home that is all yours to do with as you choose and, as an added bonus, you can make extra money by renting it out when you aren’t using it! It feels like a win-win, right? While owning a vacation rental may be awesome for building happy family memories and earning some extra money, it’s not quite as straightforward and simple as it may appear to be. With a few extra upfront steps, however, it doesn’t have to be a chore to manage your vacation home, even if you live halfway across the country. 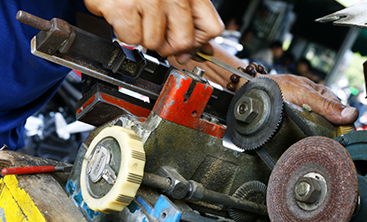 At Destin Locksmithing, we know many of our customers are Panama City Beach vacation rental owners. Whether you’ve been renting out your home for years or you’re just beginning, we have a few tips to make owning and managing a vacation rental easier. 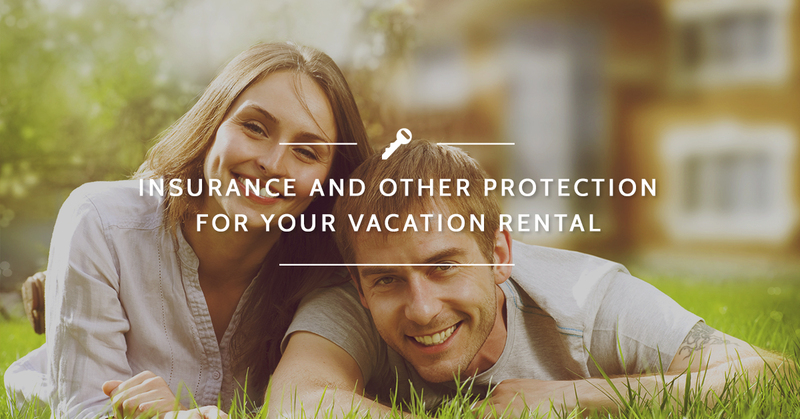 The first and most important step for every vacation rental owner should be gaining an appropriately thorough insurance policy. Now, because you’re renting the home for personal gain and allowing others to take temporary residence of your home, you will need either an additional rider or an entirely different kind of homeowners insurance policy for your vacation rental. Many homeowners policies do not provide coverage or require different measures be taken if the home is not your primary residence, which means nearly all vacation rentals. So, if you recently purchased a second home (or third, or fourth, you lucky vacationers) that you intend to use as a part-time residence, you will want to call your insurance company and be sure you have appropriate coverage based on the amount of time you’ll live in and rent out your home through the year. In addition, if you plan on renting your home through a property management group or online sites like VRBO or Airbnb, your insurance company may require that you hold an umbrella policy to give you thorough protection for both your family and the home itself. An umbrella policy goes into effect and provides additional coverage for those who have a lot of property to cover – as the name implies, it will cover all of your property, whether that’s cars, boats, homes, or valuable high-value heirlooms and jewelry. If you do not carry sufficient liability coverage on a homeowner’s policy and the worst happens, the injured party can sue for damages and the court can go after your other properties, even if they weren’t connected to the property at which the injury happened. To ensure that no one can go after your primary home if injured and sues because of your vacation home, the umbrella policy provides that extra coverage to help protect the rest of your property. One of the other major concerns for many vacation rental owners is finding a way to keep an eye on the property and everything inside when they cannot visit between every guest. Hiring a property manager is a good idea, as long as you can find someone trustworthy to keep an eye on things while you’re away. If you don’t want to entrust your home maintenance to a stranger or you just want an additional layer of security, we suggest a two-fold combination to protect your property: a home security system and a keyless entry system. A home security system can be great option to keep an eye on your place, particularly for those of you who live elsewhere and cannot make it back to Panama City Beach in between each set of guests. With security cameras in your home that connect to the home’s internet, you can get live feeds of key areas in your home like the entryways. With an online system, you can monitor things no matter where you are, and can even access some systems on your mobile phone. 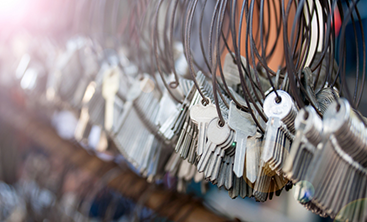 At Destin Locksmithing, we are huge proponents of the keyless entry system, especially for vacation homes. Control who has access to your home, set different codes for guests, and even track those codes to ensure your guests are leaving at the right time. 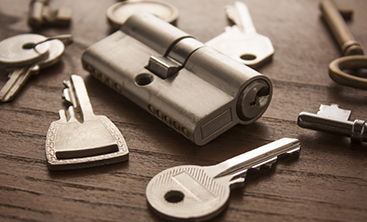 If you’re looking for vacation rental protection, call Destin Locksmithing today for home security system and keyless deadbolt options and installation!